Flanked by picturesque natural beauty, the Orchids Farm offers you a glimpse and walk through orchids, intermediated by beautiful cultural murals, and colourful stone sculptures. Even for relaxation, this place offers itself as an ideal one as it is flanked by calm and tranquil surroundings. Mountain views and fresh air freshen you up for your further excursions. Here, you will see a variety of flowers blooming and adding to your delight. They are kept in order adding grace to natural beauty. 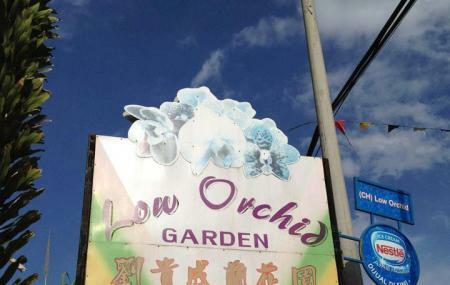 How popular is Orchids Farm? People normally club together Sam Poh Temple and Cameron Lavender Garden while planning their visit to Orchids Farm. People also prefer to start their day with Orchids Farm.